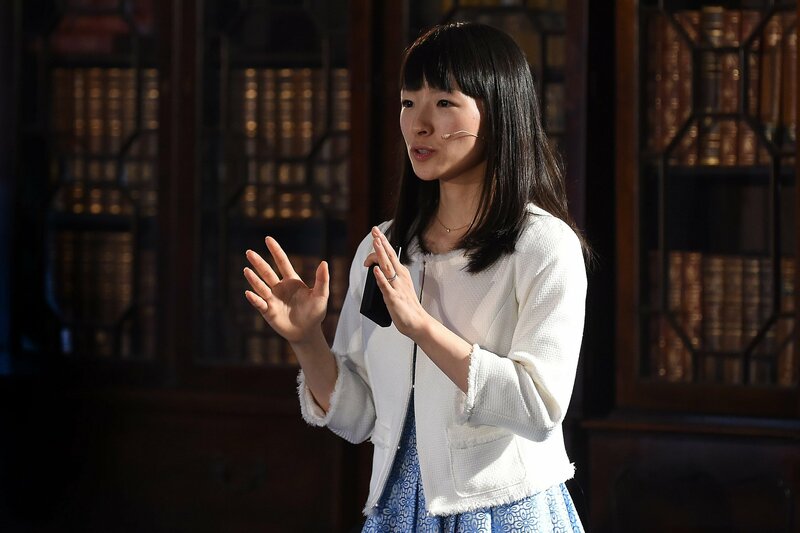 SEATTLE — Netflix’s “Tidying up with Marie Kondo” premiered on January 1st and has since become a cultural phenomenon. Kondo, also known as an “organizational guru,” is an expert in helping people convert their cluttered homes into simplistic spaces of inspirations. In the show, Marie helps families declutter and organize their homes. In doing so, she tells people to only keep items that “spark joy.” As viewers became inspired by the show, they too began to declutter and donate items that don’t spark joy. As a result, charities and thrift stores have seen an increase in donations, and thus, an increase in clothing for the poor. As more and more people continue to watch the Netflix series and clean out their closets, charities and thrift stores are seeing massive spikes in donations. Goodwills across the country have had an influx of donations of clothing, books, toys and even cars! Goodwill centers in the Washington, D.C. area have reported an increase of 66 percent compared to last January’s donations. But that is nothing compared to the 372 percent increase at the Gaithersburg, Maryland location. There is another crucial way that donating locally to Goodwill and other charities and thrift stores is making an impact. Americans create more than 15 million tons of textile waste per year. That’s roughly 80 pounds of clothing per American each year. In 2012, 84 percent of textile waste ended up in a landfill or incinerator, both of which allow the garment to release toxins into the air. This is why donating, instead of throwing out clothing is crucial for the environment. Many people will question this method, asking why they should give their old clothes to companies like Goodwill instead of just donating them to charity. Though many people in the United States need clothing donations, like the homeless and refugees, more than 15 million tons of waste each year implies there is more supply than there is a demand for these items. This is why most donations sites like the Goodwill retail stores sell a majority of donated items to buyers in developing countries. Planet Aid is one organization helping clothing reach people in need in other countries. Buyers in developing countries can choose the prices they want for each item and resell them in local markets. This process provides affordable clothing for those that need it most. Though many people, including the East African Community, supported and proposed a ban on imported second-hand clothing, locals in African and other developing countries do not think that a ban is a good idea. In Nairobi, selling second-hand clothing can be a way to make a living of roughly $10 a day. Marie Kondo issued a press statement following the widespread donations, “The fact that people have reacted with such speed is beyond anything I could have imagined and my wildest expectations! […] It’s my sincere hope that the items at the donation centers will find new owners for whom they will truly spark joy.” Kondo has seemingly inspired a new trend in cleaning and donating. In the end, donating your gently used clothing and other items will not only help the environment but will also allow for more jobs in developing countries. Selling items to buyers in developing countries may not be the ultimate solution to alleviate poverty, but right now, it is a way to help out others and spark joy.